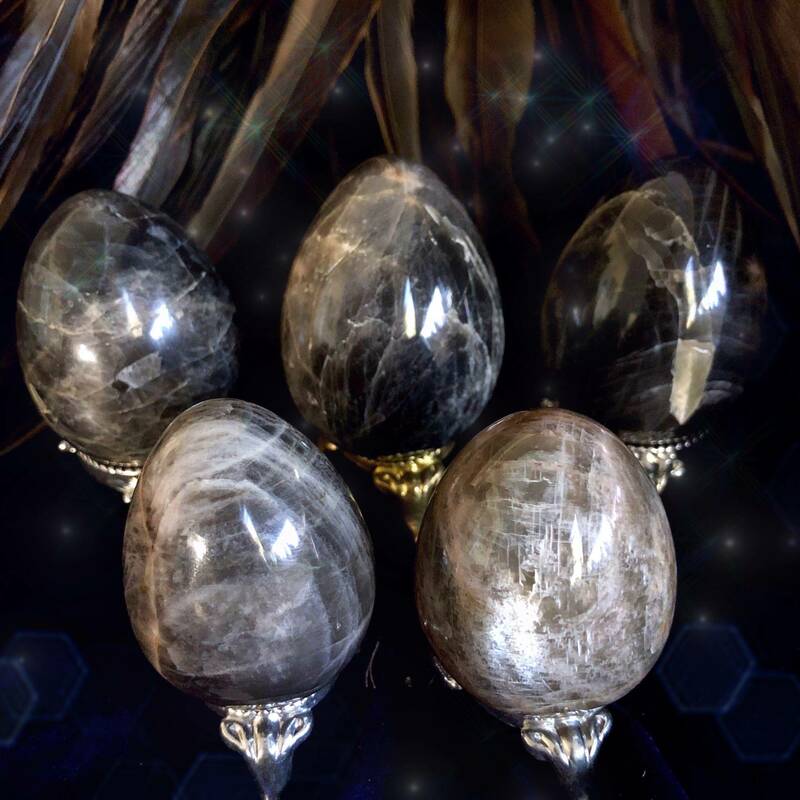 New beginnings are what these absolutely amazing and breathtakingly beautiful black moonstone eggs are made to serve. 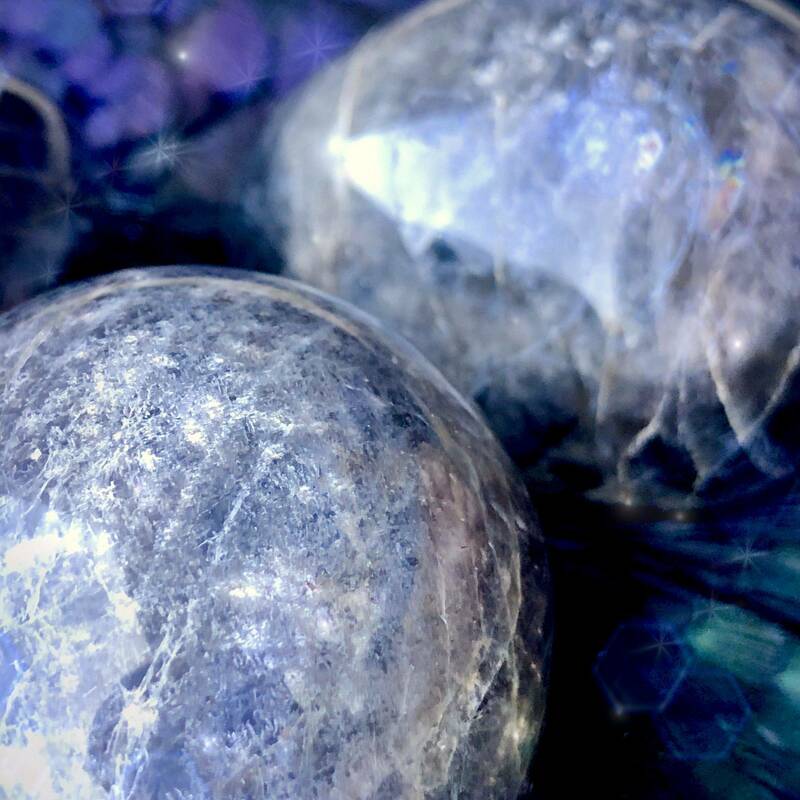 If you find yourself swimming in the blankness of transition and question, these black moonstone eggs are here to be your guide and ally. 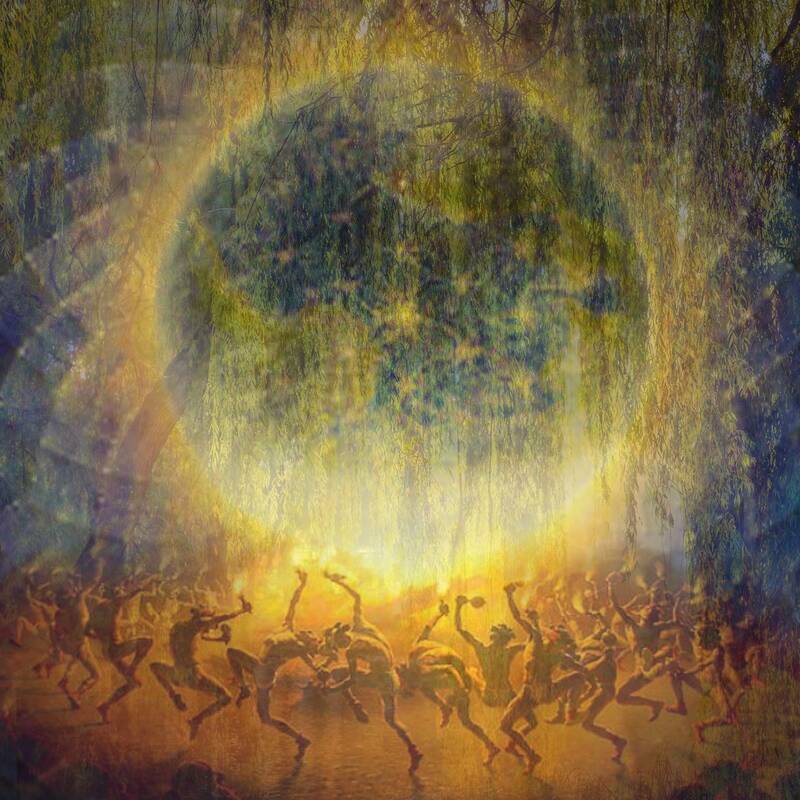 They will navigate the darkness alongside you, leading you to success in a brighter realm. 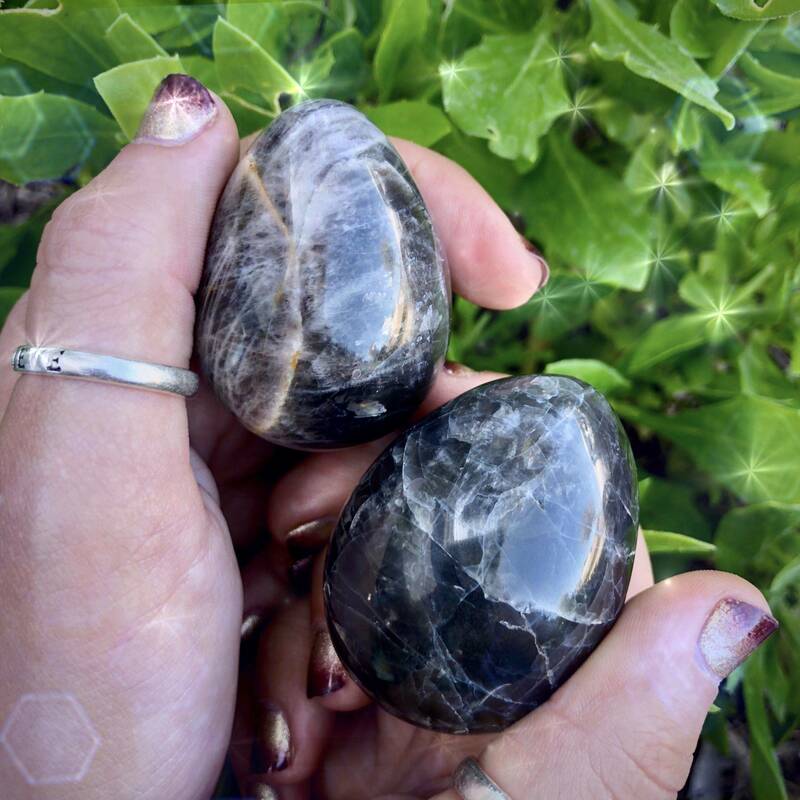 Alongside these powerful eggs, you will also receive a sample of my Black Moonstone Perfume, a deep and mystical blend to amplify your New Moon magic. Black moonstone has all of the properties of white and rainbow moonstone, with an especially potent focus on New Moon energy. Black moonstone is THE stone of the Divine Feminine; it represents the beginning of things and the dark void where all of creation is formed, the womb. Its energy is protective, yet its vibration is light. Its calming and grounding essence encourages hope and inspiration, shifting bad moods into a more positive emotional state when creating something new. Black moonstone increases sensitivity to the Divine, heightens intuition, and opens you to psychic gifts. A deeply empathic crystal, black moonstone opens the heart to compassionate love, calms the fears, and smooths out mood swings. 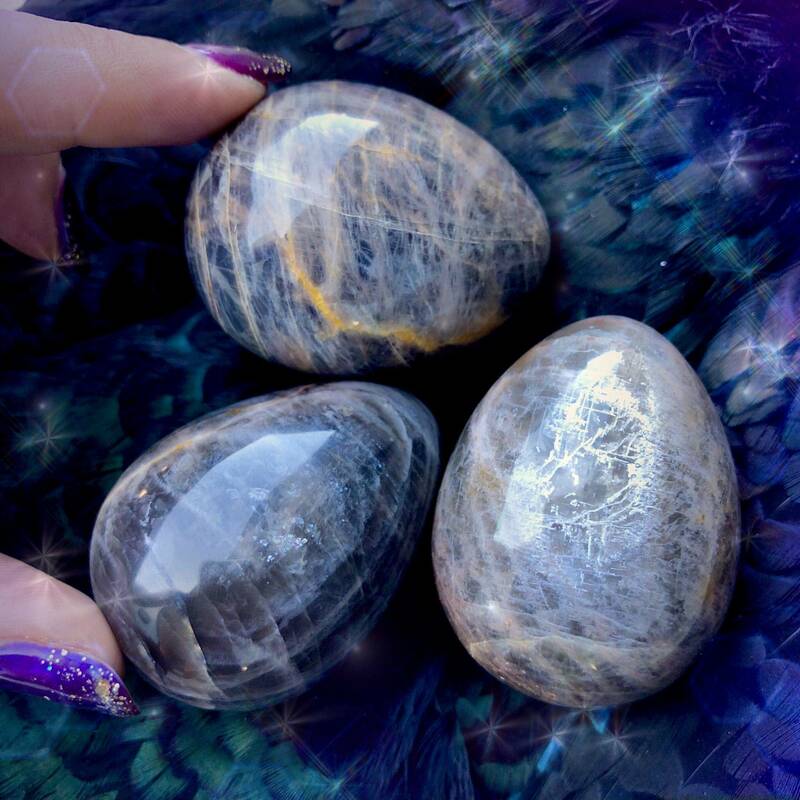 Use these black moonstone eggs at the New Moon to boost creative energies and to help you vision in the darkness. 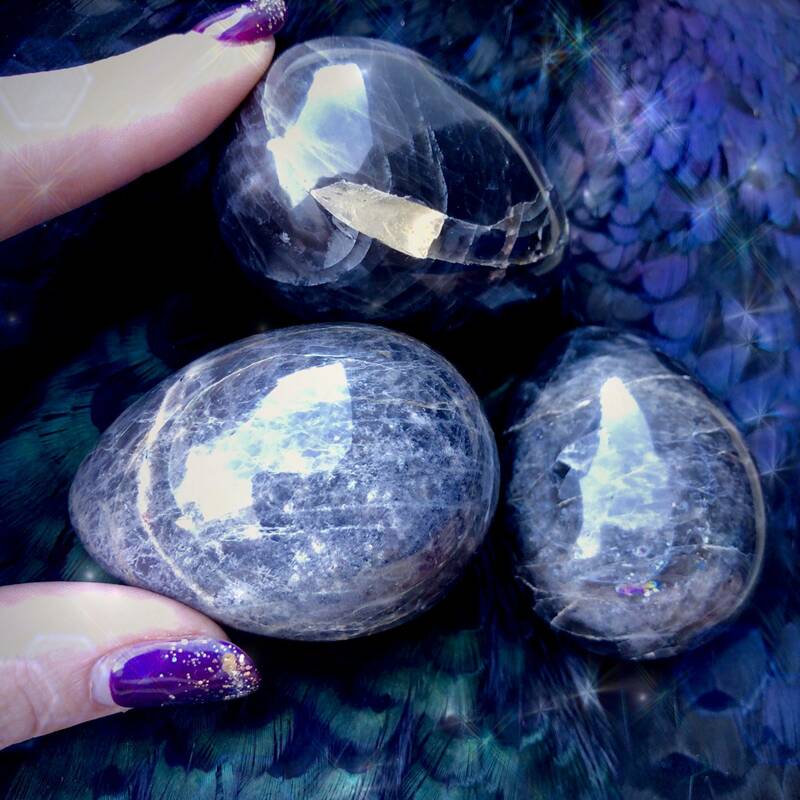 To intensify your journey out of the darkness, these eggs are accompanied by a sample of my Black Moonstone Perfume. 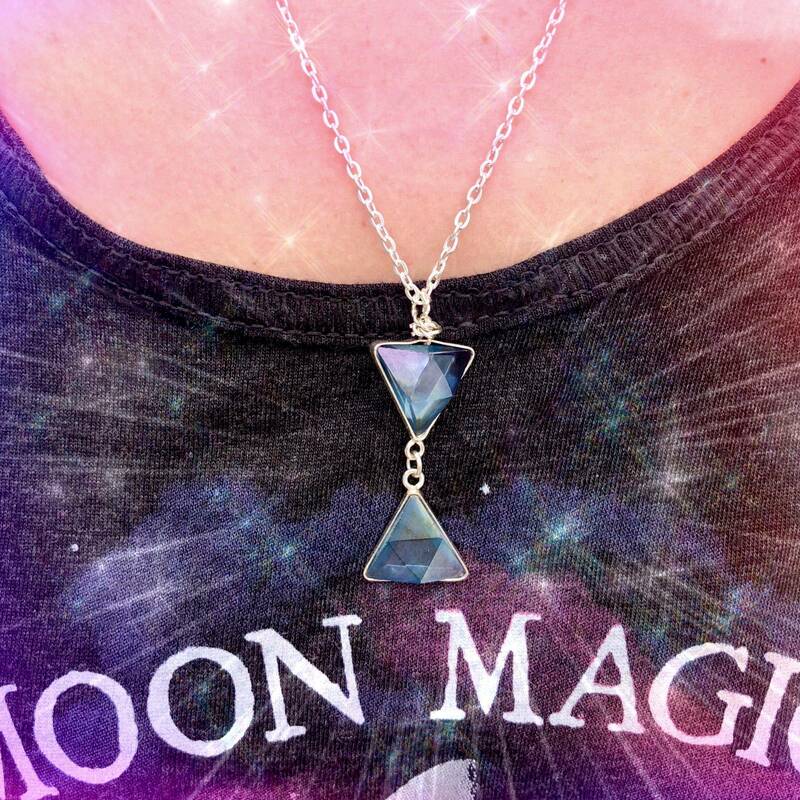 This perfume will amplify the moonstone’s lunar magic. Laced with notes of jasmine, amber, and copal, and infused with a moonstone chip stone, Black Moonstone Perfume is deep, grounding, strong, and wonderfully mysterious. Hold these beautiful pieces in meditation during your New or Waning Moon ritual. 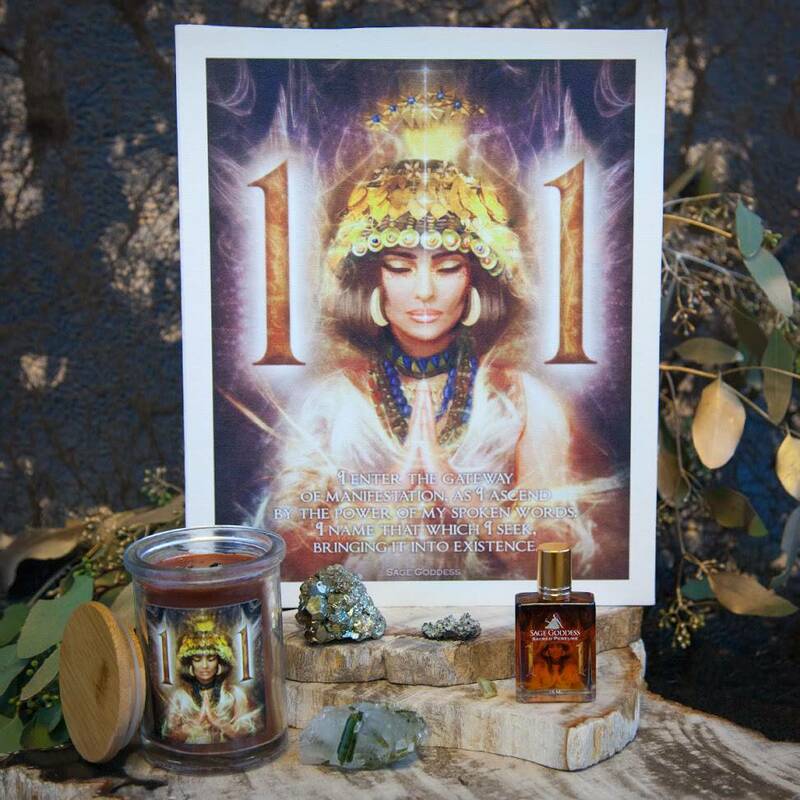 Anoint your black moonstone egg or yourself with my powerful Black Moonstone Perfume. These are your tools for summoning something new, manifesting your dreams, and setting new intentions. We offer stands for elegant display when your egg is not in use. This listing is for one (1) black moonstone egg. I have two sizes to offer you: Small (about 1.5-2”) and Medium (about 2-2.5”). Use the drop-down menu above to choose the offering that calls to you. Your egg will come with one (1) sample of my Black Moonstone Perfume. Yours will arrive lovingly parceled along with a single leaf of white sage and a card describing the properties of the stone.